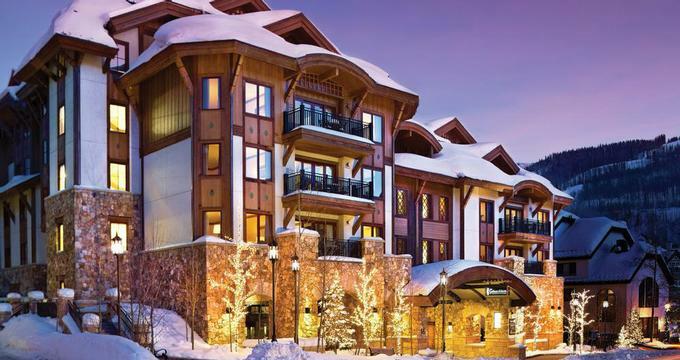 12 Best Family Winter Vacation Spots in the U.S. Whether you are looking for cold or warm-weather winter getaways, our list includes ideas for every interest. Plan a ski trip to Colorado, go ice skating in California or plan a road trip in Texas. Get away to Washington D.C. and visit famous museums in the nation's capital. Tour San Francisco or explore famous attractions in Chicago. If you are looking for full-service resorts with water slides, pools, spas and golf, get away to Scottsdale, Florida or Hawaii. Browse our collection of fun getaways in the United States that the whole family can enjoy. 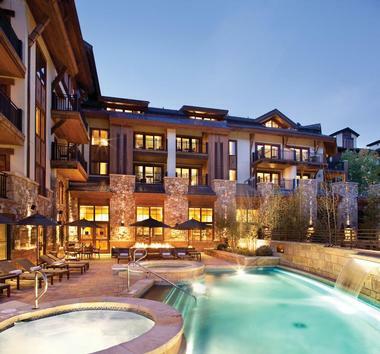 Check into the Sebastian-Vail – A Timbers Resort which has been recently renovated and offers ski-in/ski-out access to Vail Mountain, a pool, relaxing hot tubs and several excellent dining options. The hotel offers supervised activities for children during the winter season. The Tykes Room has a chalkboard wall, a stage with curtains, books and games for the youngest guests. Choose from 84 guest rooms and 23 luxury suites. Ask for one of the residential suites with a kitchen and a fireplace. 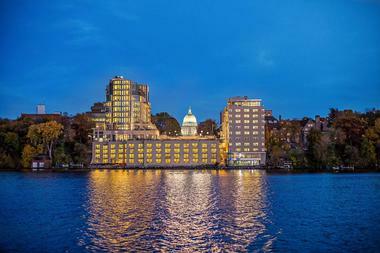 Located just a stone’s throw from the State Capitol and within walking distance of Madison’s best restaurants and shops on the shores of Lake Mendota, the contemporary-chic The Edgewater Hotel just completed a $100 million dollar renovation which reflects classic grandeur and charm. Elegantly decorated, rooms and suites enjoy plush décor and furnishings, ample living areas and vast glass windows with spectacular views. Modern facilities, such as air-conditioning and satellite televisions create a comfortable atmosphere, whilst special touches such as a fully stocked minibar and 24-hour personal concierge service add a touch of glamour. The hotel has an ice rink where kids can have fun skating with a view. From All-American burgers and a pint of local beer to fine dining and fabulous wine, dining at The Edgewater will not disappoint. Five restaurants offer a range of excellent cuisine with a Midwestern twist, while two well-appointed bars serve Wisconsin beers, classic cocktails and an impressive wine list. Spend the day being pampered in the exclusive spa, enjoy an invigorating workout in the private gym and explore the town’s most popular attractions. Rooms start at $169 per night. 3.The St. Regis Washington, D.C.
Washington D.C. is one of the must-see family destination where kids can learn about the U.S. history first hand. Visit famous landmarks and museums, dine at unique restaurants and go shopping. The St. Regis Washington, D.C. offers stylish rooms and luxury suites and is located just two blocks from the White House. The Hay Adams Hotel, named after historic figures John Hay and Henry Adams, is also close to the White House. 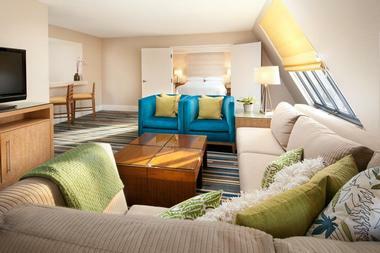 Ask for one of the rooms of Lafayette Park and the White House when booking your stay. The Ritz-Carlton, Georgetown is another great spot in Washington D.C., offering a spa, modern furnishings and a signature restaurant. 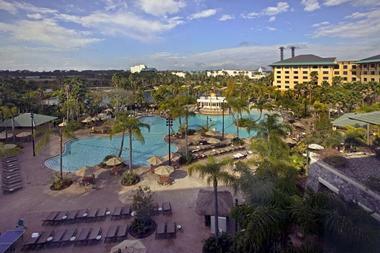 Royal Pacific Resort in Orlando, Florida is a family-friendly resort with a tropical lagoon, beautiful gardens, a children's water play area and supervised activities for kids. Alternatively, stay at The Loews Hard Rock Hotel which has a huge outdoor pool, a 240-foot slide and a collection of rock and roll memorabilia. 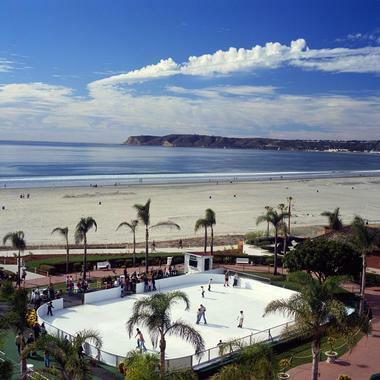 Hotel del Coronado in Southern California offers ice-skating overlooking the Pacific Ocean during the holidays. The hotel's 10,000 square foot Windsor Lawn is transformed into an ice rink with the Victorian Building adorned with 50,000 white lights serving as a backdrop. Holiday music and hot chocolate complete the festive atmosphere at the hotel. Three-hour skating sessions are available daily from 2pm-5pm and 6pm-9pm. The cost is $20 for adults and $15 for children (ages 10 and under), with ice-skate rentals from $5 per person. Other family-friendly holiday vacation activities at the Hotel del Coronado include Surrey-Sleigh Rides, Family S'mores Roasts and the Lamb's Players Theatre's annual production of An American Christmas. 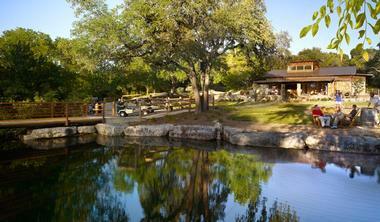 Texas offers many great getaways which combine relaxation, diverse activities and gourmet dining. Barton Creek Resort in Austin, Texas has a 18-hole miniature golf course great for families and a kids club offering fun activities such as arts and crafts, painting, nature walks, story time, computer games and puzzles. While kids have fun at the kids club, book a relaxing treatment at the resort's spa, which offers a great Water Therapy pre-spa treatment. During the day, explore the Nature Trail with your kids, learning about the unique flora and fauna found in the Texas Hill Country. Geocaching is another fun activity offered by the resort - you can rent a GPS or bring your own.Stay at Lajitas and explore the famous Big Bend park and immerse yourself in Old West atmosphere. There is also golf, spa, mountain biking, an outdoor swimming pool and hiking. San Francisco offers museums, shopping and unique restaurants. Fisherman's Wharf is a fun place to visit with kids, especially Ghirardelli Square with its 50 shops and restaurants and the headquarters of the Ghirardelli Chocolate Company. If you want to be next to the shops and events in Ghirardelli Square, stay at the Sheraton Fisherman's Wharf Hotel has outdoor swimming pool and firepits. Take a ride in a cable car and let the kids watch the as the cars as pulled along the road by cables embedded in the street. Ride from Fisherman's Wharf to Union Square and other major tourist attractions. Chinatown in San Francisco, the largest Chinese community outside Asia, is a great spot for sampling delicious cuisine and visiting outdoor parks and squares. There are also temples and parades during the holidays. The St. Regis San Francisco is perfect for art lovers since it's located right next to the San Francisco Museum of Modern Art. Take advantage of the St. Regis Butler Service to speed up unpacking. Mandarin Oriental San Francisco offers spectacular views of the city skyline from all its guest rooms and suites which are located on the 38th to the 48th floors of the building. You can see the Golden Gate Bridge and the San Francisco Bay in the distance. You may also like: great beach resorts with kid's programs. Chicago is a destination where you can combine a visit to a city with pampering and relaxation. The Peninsula Hotel Chicago has a 14,000-square-foot spa, enclosed swimming pool overlooking Michigan Avenue, whirlpools and a rooftop sundeck. 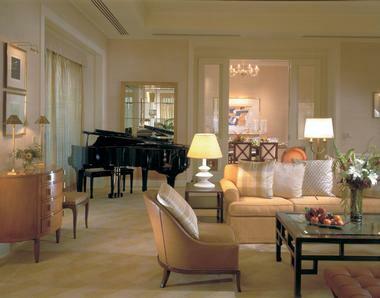 Rooms and suites are the Peninsula are spacious and luxurious. 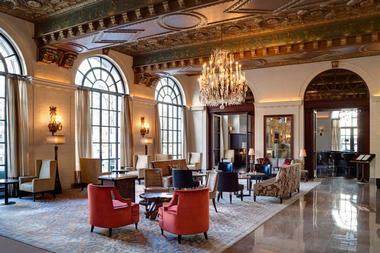 Trump International Chicago has a beautiful indoor pool, rooms with floor-to-ceiling windows and several restaurants. Enjoy the pool with your kids and try a selection of cuisine from around the world. The Elysian Chicago offers stylish accommodations measuring on average 890 square feet in size, giving families plenty of room on their vacation. Hard Rock Hotel Chicago has an outdoor swimming pool with luxury cabanas which you can rent with kids. 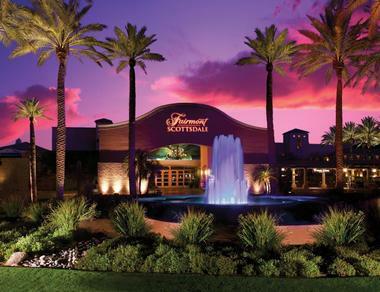 Scottsdale, Arizona offers several great kid-friendly getaways. The Fairmont Scottsdale Princess offers the award-winning National Geographic Explorers Camp which lets kids go on GPS treasure hunts, safaris and more. The Phoenician Resort in Scottsdale has several outdoor swimming pools, golf, a spa and a choice of accommodations. The kids club at the Phoenician offers daily activities such as castle building, parachute play, hiking scavenger hunts and puppet shows. If you want to try a variety of activities on your getaway, Camelback Inn offers golf, tennis, a spa, several pools and a Children's playground. Great family resorts: Grand Geneva Resort, Hilton Chicago/Indian Lakes, Nemacolin Woodlands Resort, LEGOLAND Hotel and Rough Creek Lodge.